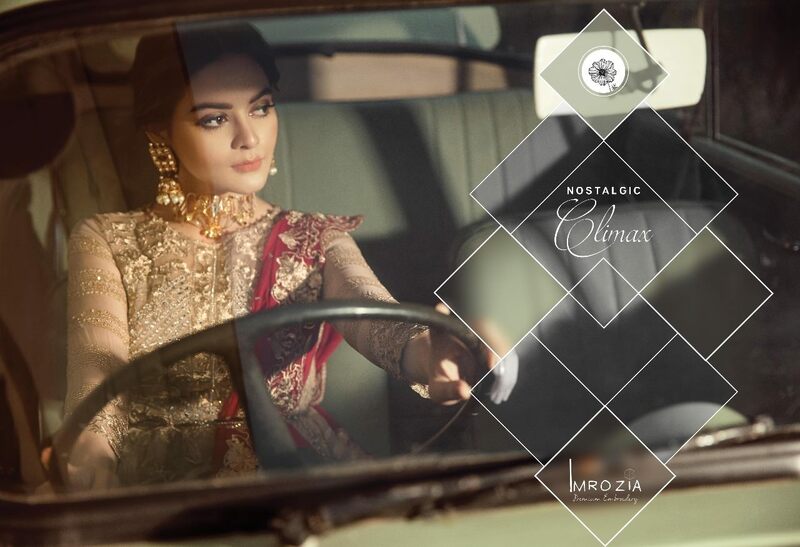 Nostalgic Climax Collection yet another amazing collection by Imrozia. As we accepted dramatically inspirational collection for chic women’s. 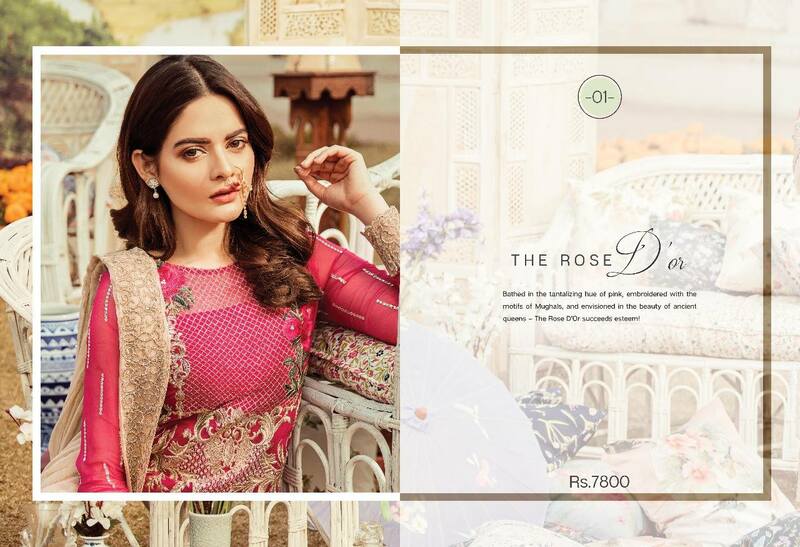 Rich embellished or adorned with gorgeous embroidery or tassels and beads. 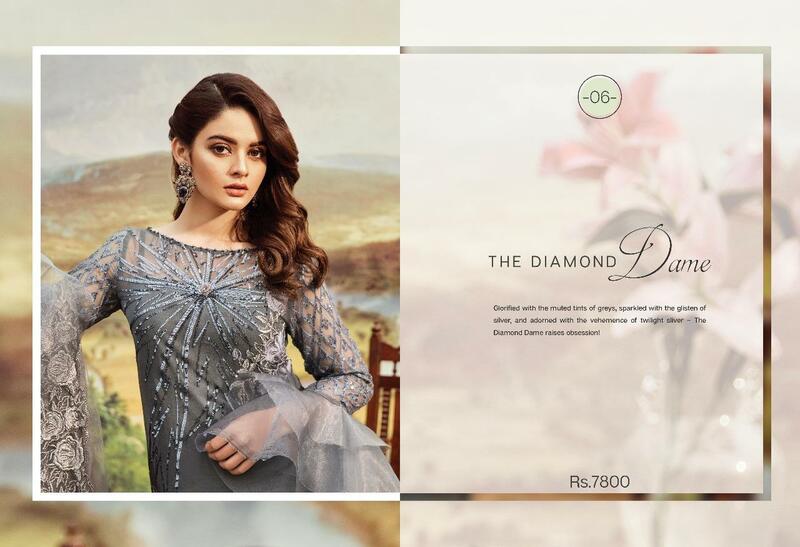 Imrozia truly a sensible clothing brand introducing classic clothing trends in Party wear for Pakistani girls. 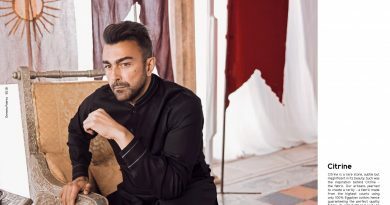 IMROZIA is a premium brand.We love the art of clothing and take inspiration from colors and textures around us .From bold designs to intricate details and embellishments, we take pride in our work. Come Feel elevated in our attire. 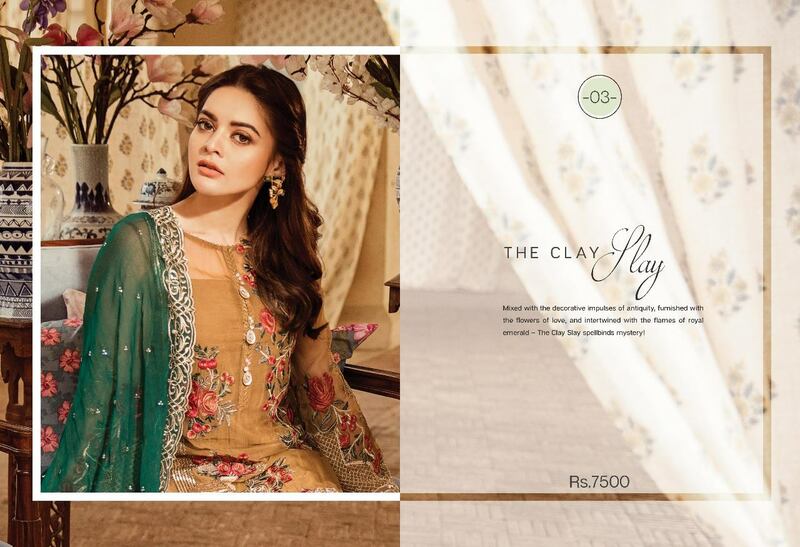 Says Imrozia” For this wedding season Imrozia launching Nostalgic Climax Collection for women in wide range of sophisticated designs and soft and reliable fabric. 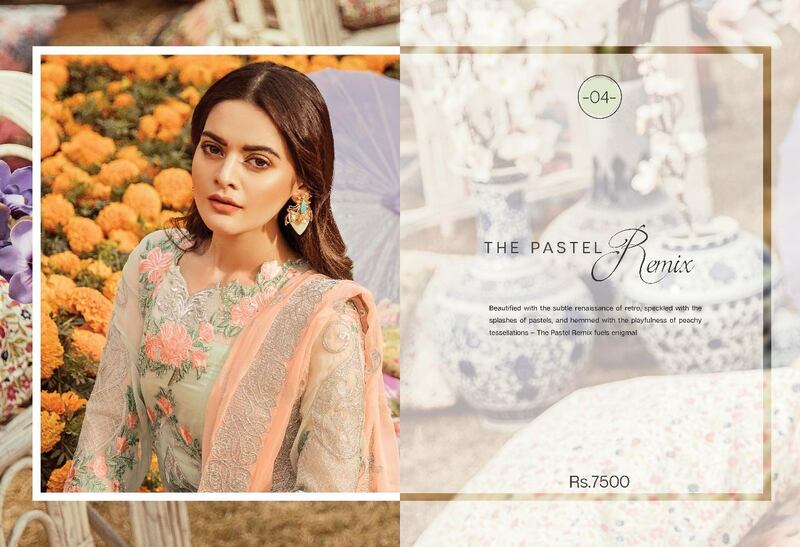 Nostalgic Climax Collection By Imrozia consisting of 3 pcs embroidered dresses including embroidered dupatta and Plan trouser with embroidered motif. 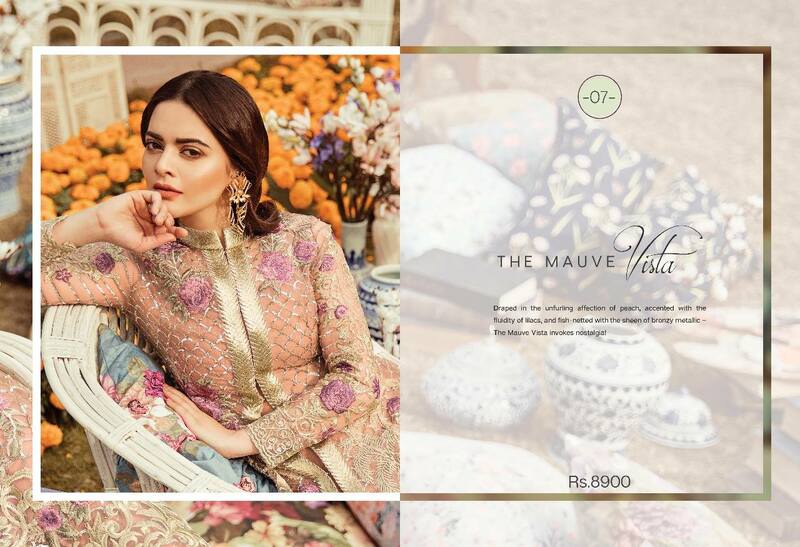 Nostalgic Climax Collection have very fine embroidered work on shirt and dupatta specially adorned with thread and metallic work. Nostalgic Climax Collection introducing some amazing stitching ideas with very inspirational cut and style. 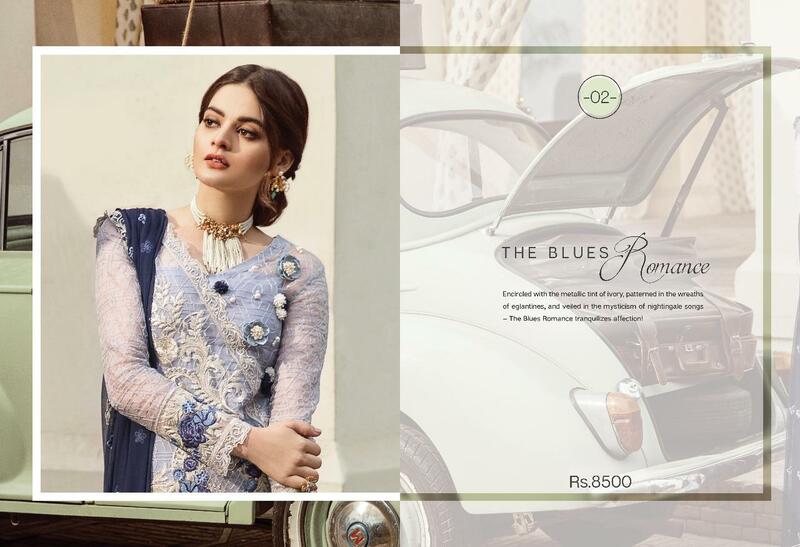 Encircled with the metallic tint of ivory, patterned in the wreaths of eglantines, and veiled in the mysticism of nightingale songs – The Blues Romance tranquilizes affection! 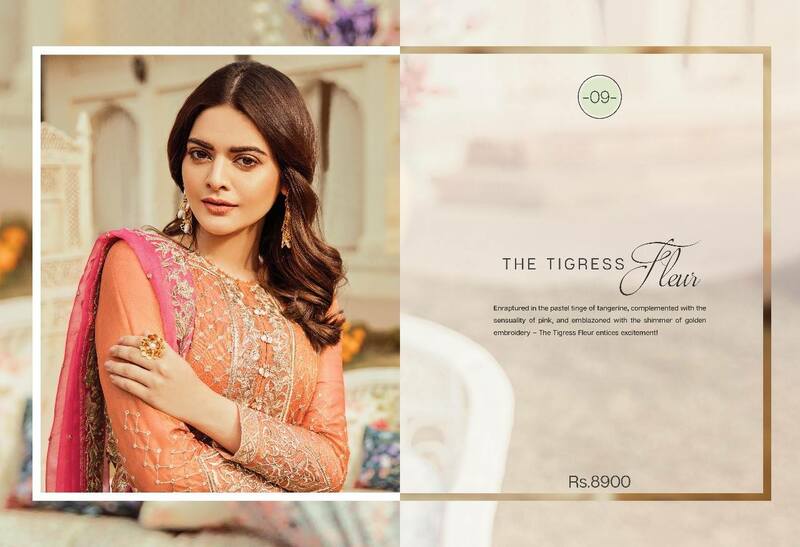 Price are amazingly economical A rich embellished dresses with stunning embroidered dupatta you can buy in Appropriate prices. Prices start from 7500/- pkr or end on 8900/- pkr with high quality stuff and you also fell reliable. 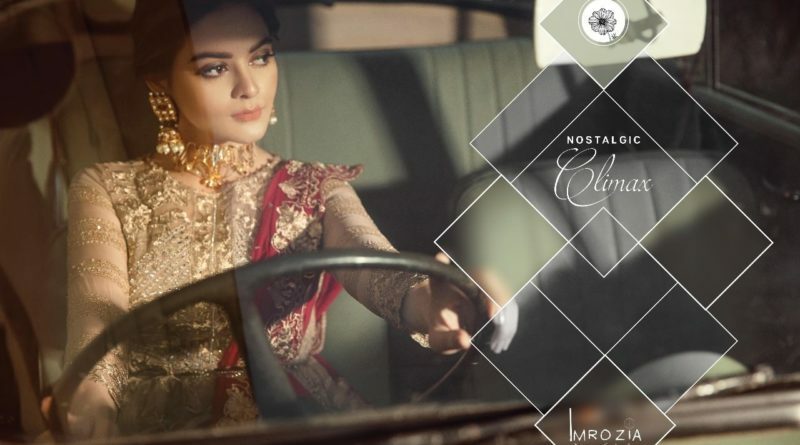 So here we published complete catalog of Nostalgic Climax Collection By Imrozia hope you like or want to look different then others. For order kindly contact us at +92-300-6530821 we also provide costume stitching service for our international customers. 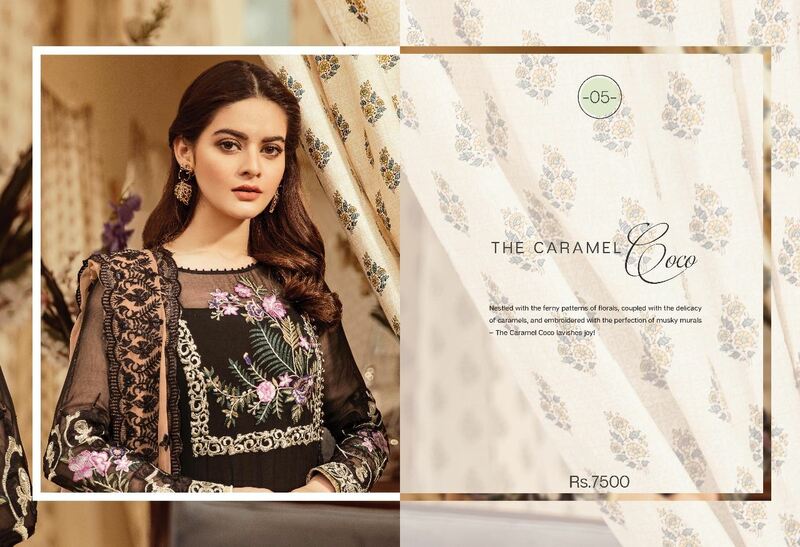 Nestled with the ferny patterns of florals, coupled with the delicacy of caramels, and embroidered with the perfection of musky murals – The Caramel Coco lavishes joy! 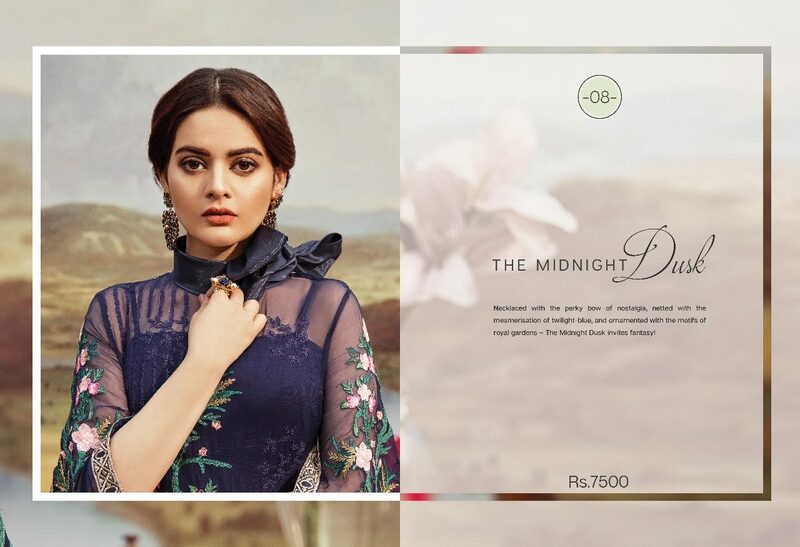 Necklaced with the perky bow of nostalgia, netted with the memorization of twilight-blue, and ornamented with the motifs of royal gardens – The Midnight Dusk invites fantasy! 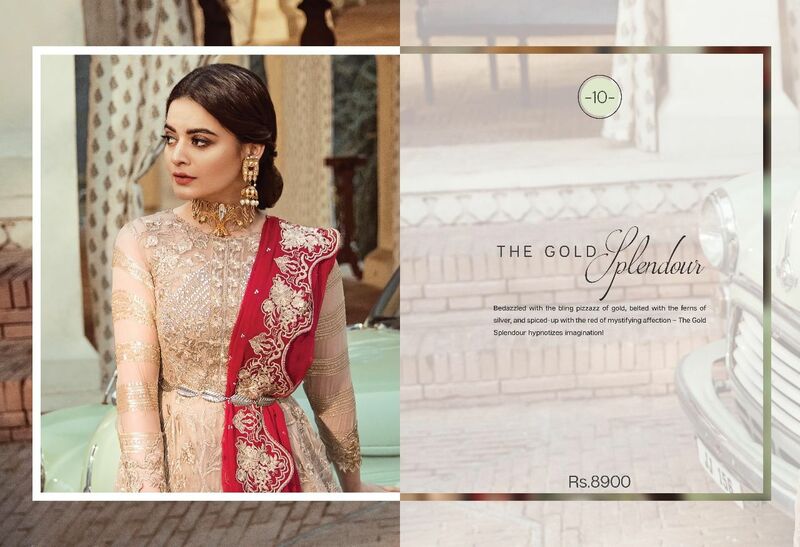 Bedazzled with the bling pizzazz of gold, belted with the ferns of silver, and spiced-up with the red of mystifying affection – The Gold Splendour hypnotizes imagination!